But there are so many options to choose from. 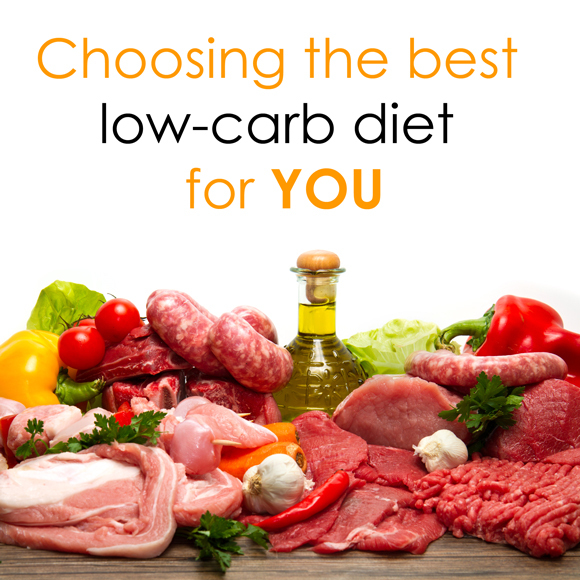 Atkins, Dukan, Keto, LCHF… Which one is the best low-carb diet? My answer to this type of questions is always the same. We are all different – there is no single “silver bullet” solution that works for everyone. “Low-carb” is a very loose term. It covers several completely different diet plans. This article presents the most popular low-carb diet plans, with a brief overview and pros/cons for each. So you can choose one that would work best for you. Carbohydrates (“carbs”) are the main source of energy for your body. The only other possible energy source is fat: either fat reserves stored within your body or dietary fat you get with food. Carbs are easier for your body to burn. When you cut down your carbs intake, you encourage it to burn fat instead. Generally speaking, any diet that includes less than 200g of carbs a day can be described as low-carb. Here’s a quick guide to different levels and diets. Ketogenic diets are extremely low in carbs. The recommended level of carbs is only 20g a day. You would add a lot of fat to your diet instead of carbs. After several days of reducing your carbs to this very low level, your body switches into ketosis. Ketosis is a natural metabolic state of burning fat for energy instead of carbohydrates. Once in ketosis, your body uses its own fat reserves for fuel. Losing weight while in ketosis is easy – pounds just melt off. Your energy levels soar. Best of all, you don’t ever feel hungry. You get to eat rich, mouth-watering low-carb foods. But to stay in ketosis, you must follow the rules precisely, and all the time. There are no “cheat meals” or “being good most of the time” workarounds. Ketogenic diets are extremely good for fast weight loss. But they are not easy, especially in the beginning, before you switch into ketosis. They get much easier after you switch, but you still need to stay disciplined and vigilant with your food. Examples of ketogenic diets are Keto, LCHF and Atkins Induction. You don’t have to be in ketosis in order to lose weight on a low-carb diet. Cutting out just some of your carbs helps to reduce your overall calorie intake and encourage fat-burning. Weight loss won’t be as fast as on ketogenic diets, but it would be easier to stick to. Examples of moderate low-carb diets are Zone and South Beach (phases 1 and 2). Some people don’t set out to be on a low-carb diet as such. They just simply want to cut out refined sugar and grains from their diet, for health reasons. Simply cutting out those two types of food would push your carb limit down to a level that’s technically low-carb. And it is very likely to result in at least some weight loss. Most dieticians agree that white sugar is not good for anyone. The debate still rages on about whole grains. But plenty of people noticed health improvements after cutting our grains, especially wheat. The most famous diet plan in this group is Paleo. Paleo aims to cut out all foods produced using modern industrial methods, reverting back to what our ancestors used to eat in the Palaeolithic age. Paleo doesn’t specifically try to be low-carb, but often is – due to the absence of sugar and grains. Some low-carb diet plans are organised in phases. You would start with a very low level of carbs. You then relax and add foods back on, gradually increasing your carbs limit. This approach allows you to find the level of carb intake you are most comfortable with. It is less monotonous than purely ketogenic diets. Examples of phased diets are Atkins, South Beach and Dukan. Here’s a brief overview of five popular low-carb diet plans, across a range of criteria, to help you choose the most suitable one. Click on the diet’s name in the first row to see its overview and pros/cons, and click on the criteria in column one to see the full explanation below. These first two factors are linked as a trade-off – stricter diets would enable faster weight loss BUT also require more effort and willpower, and you would be more likely to give up the diet. In either case, it is important to have realistic expectations and not expect miracles overnight. Where weight loss is mentioned as guaranteed, this is only the case if you definitely stick with all the guidelines of the diet. Some low-carb diets plans start out with a short strict phase (often ketogenic), designed to reset your metabolism and food habits, and then gradually move to longer but less restrictive stages. Phased structure is good if you are a beginner or if you can’t (or don’t want to) cope with restrictions for too long. Many low-carb diets are very high in fat (basically replacing your energy source from carbs to fat), whereas some other plans are also low-fat (most notably Dukan). It is difficult to get into ketosis if you don’t consume extra fat with your diet, and overall low-carb low-fat diets are much harder to stick to than low-carb high-fat (LCHF, e.g. Atkins Induction or Keto). Ketosis is a natural state when your body starts converting fat for fuel instead of glucose. This occurs when carbohydrates are reduced to a minimum for a period of time, usually less than 20g net carbs a day for at least 5-7 days (e.g. Keto, Atkins Induction). Ketosis (not to be confused with ketoacidosis) is not unhealthy, and there are people who stay in ketosis for months and even years. Getting into ketosis can be difficult – for the first several days, you might experience fatigue, headaches and general lack of energy. However, once ketosis kicks in, these symptoms disappear and you are likely to have more energy than before. Hunger and sugar cravings will go away, and you can achieve fast weight loss in this state. You will need to keep your carb intake to a minimum in order to stay there – eat something high in carbs and you will get knocked out and back to square one. If you keep trying to get into ketosis but can’t cope with the initial symptoms, or if you keep getting knocked out after several days, then reconsider your plan and pick a diet that’s not ketogenic (e.g. South Beach). If you are an athlete, or if you do regular high-intensity exercise such as weight lifting, bodybuilding or sprint running, your dietary needs will obviously be very different to those of sedentary people. This is really a specialist area but generally speaking, the two low-carb diets that are popular with this group of people are variations of Keto (CKD / TKD), and Paleo. If your lifestyle is mostly sedentary, and your exercise levels are small or moderate, you don’t need to worry too much about the diet’s implication on your performance. All popular low-carb diet books usually include guidance and advice on exercising during that particular diet. Some low-carb diets require counting of all net carbs consumed. This can seem laborious at first, but you get used to it quickly. There are special food tracking apps and tools available to help you. Keeping a food diary is actually supposed to be beneficial overall anyway – you are less likely to deviate from your diet if you have to make a note of everything you eat. If you find the idea of food tracking a bit of a nightmare, opt for a plan that doesn’t include it. Typically, such plans will provide a list of permitted or banned foods and leave it at that. Some diets (mainly Paleo/Primal plans) exclude all refined and processed foods, including artificial sweeteners. 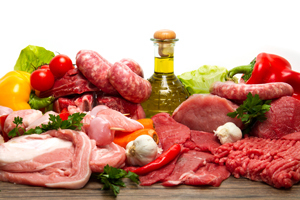 Apologies to vegetarians, but low-carb is extremely tricky to adapt to your lifestyle. It relies on protein and restricts consumption of grains, root vegetables and fruit, which all play a big role in vegetarian diets. The most well-known plan to have a specific vegetarian version is South Beach for Vegetarians. Guidelines vary from diet to diet, but generally, dietitians do recommend taking supplements to support low-carb diets, especially during the really restrictive stages. Dr Atkins had some very specific recommendations with regards to Atkins Diet supplements. Some targeted low-carb diet supplements are available from our low-carb shop. Whatever you do, please always stick with well-known diet plans that have been tried and tested, and never resort to desperate measures that promise overnight results, such as diet pills – that’s just plain stupid and likely to damage your health.